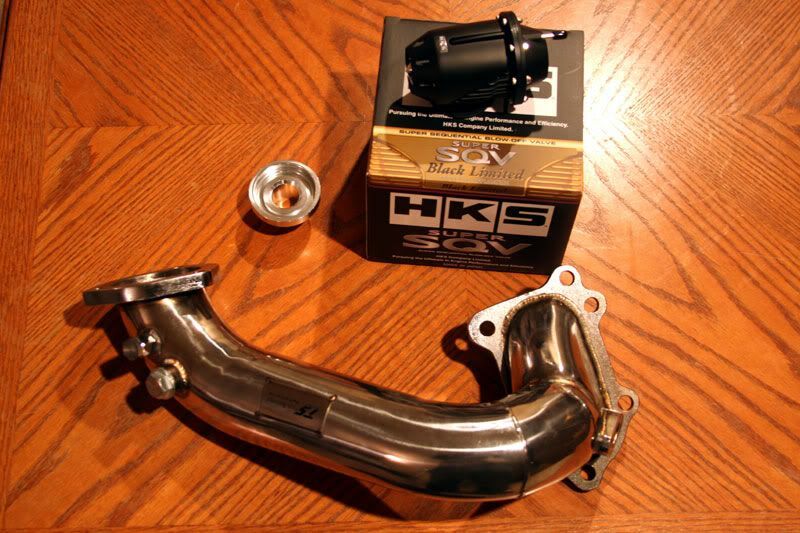 I ordered a Berk Technology Downpipe for my 3SGTE (MR2 Dowpipes fit Celica Alltracs, most of the time without modification) based off of positive reviews of the company and the part itself. When I got the package, it was shipped from Berk's facility in Southern CA, even though I ordered it from an authorized reseller. 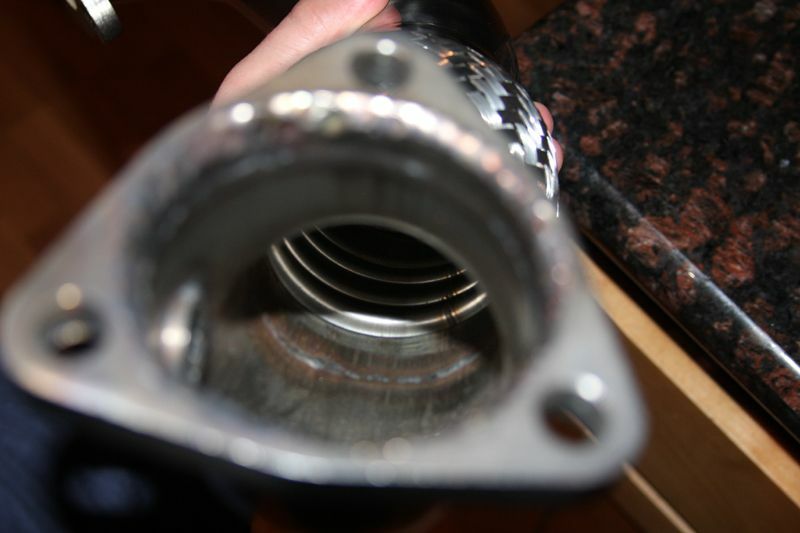 The downpipe the Berk part was to replace was a low quality TopSpeed part that is manufactured in China. It is made of low grade 400 series stainless steel that is "polished" with a clear coat to keep moisture out... for a little while... as it will eventually burn off. 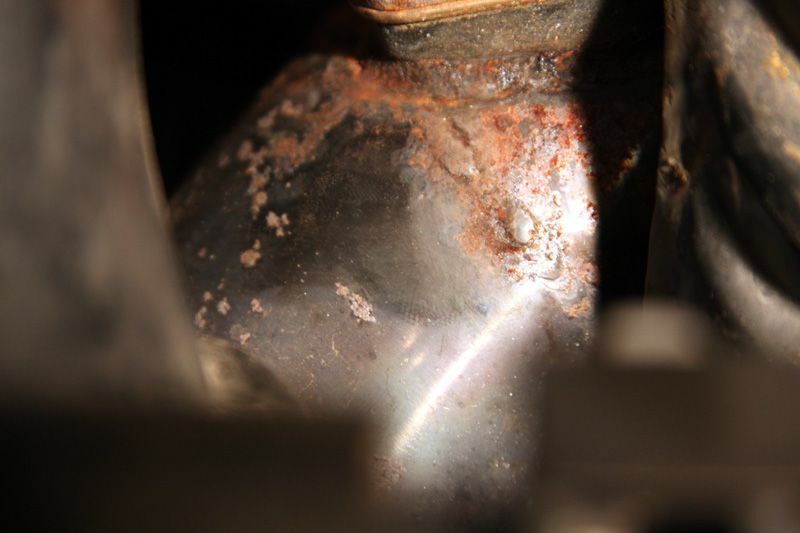 The welds are poorly done, the flanges are poorly aligned and the exhaust flow path is full of obstructions. The fitment is also very poor, which is why I needed something better. So I was very surprised when I opened the box from Berk. I was expecting a higher quality 300 series stainless steel with awesome fitment and build quality. What I got looked to be made in the same Chinese factory the TopSpeed part was made in. The turbine side flange was misaligned by about .25" in the vertical direction, and a lot of welding was used to fill the gap. 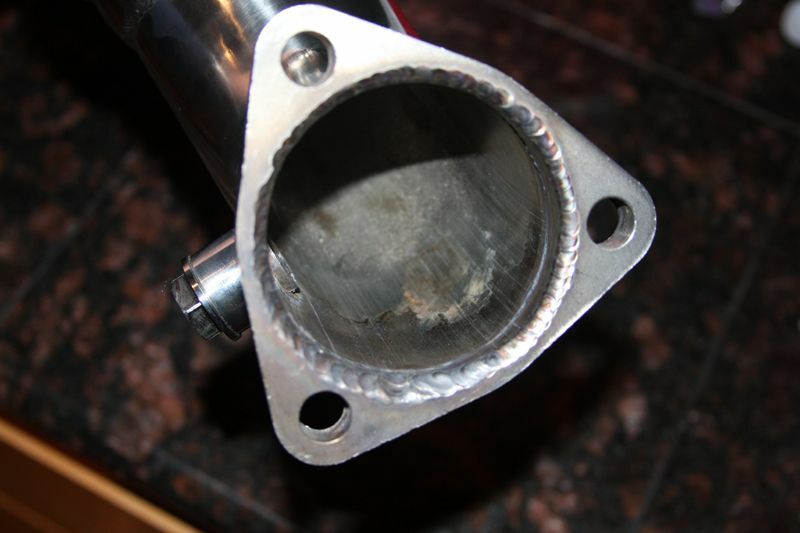 The inside of the flow path was not smoothed down after welding, the mitered pipe was still sticking up in the middle. There was welding burn through in sections, and generally so-so welding overall. The material was the same "polished", clear-coated, low grade stainless steel as the cheap downpipe, and the Berk pipe costs over twice as much! After a little more digging, I have found that the Berk pipe is indeed manufactured in China! They also include the same crappy (don't use) gaskets and hardware that comes with all other Chinese made exhaust products. Lastly, the flex section is not smooth on the inside, which can cause turbulence in the exhaust flow, especially on a turbo car. While not detrimental to performance, it is still a disappointment. The only positive note, is that the Berk Pipe did fit fairly well, and eliminated my exhaust rubbing issues. The clear coat is already starting to burn off, and it has less than 1000 miles on it. It will be nice and rusty like the TopSpeed DP in a couple years I'm sure. 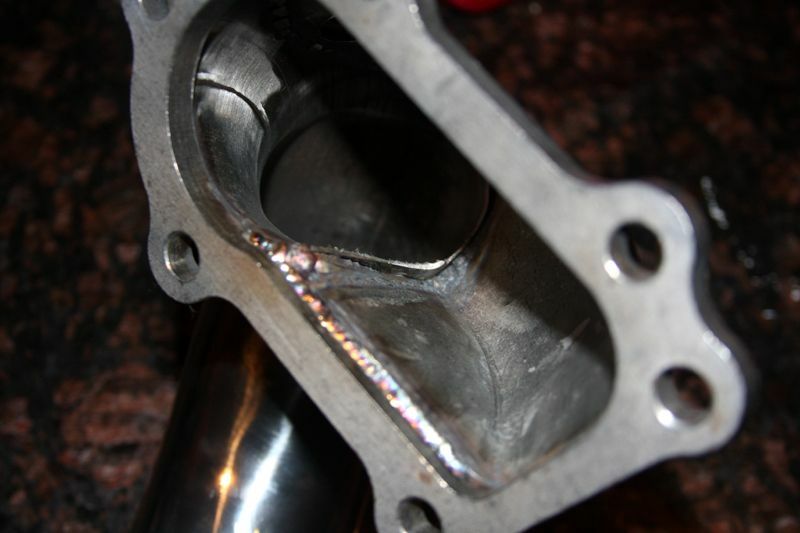 Here you can see the low quality material used and where the weld encroaches on the bolt/stud holes of the flange, eliminating a nice flat mating surface for the nut/bolt head. 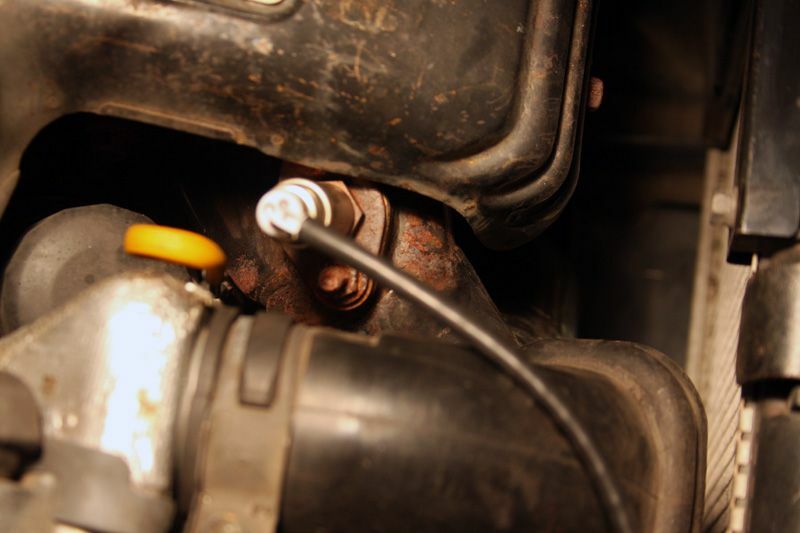 Also, notice the poor alignment of the O2 sensor flange? This had to be ground away for the sensor to fit through the hole. 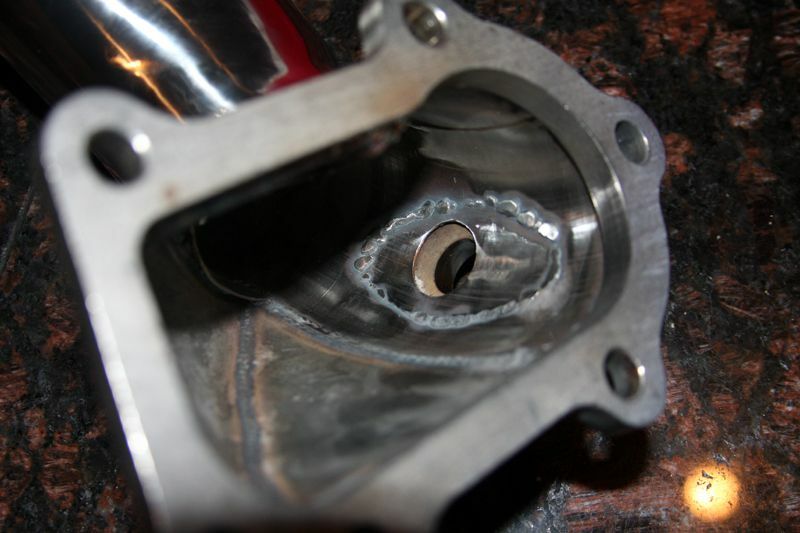 The welding here isn't too bad in terms of the bead, except on the O2 sensor flange where it burned through. 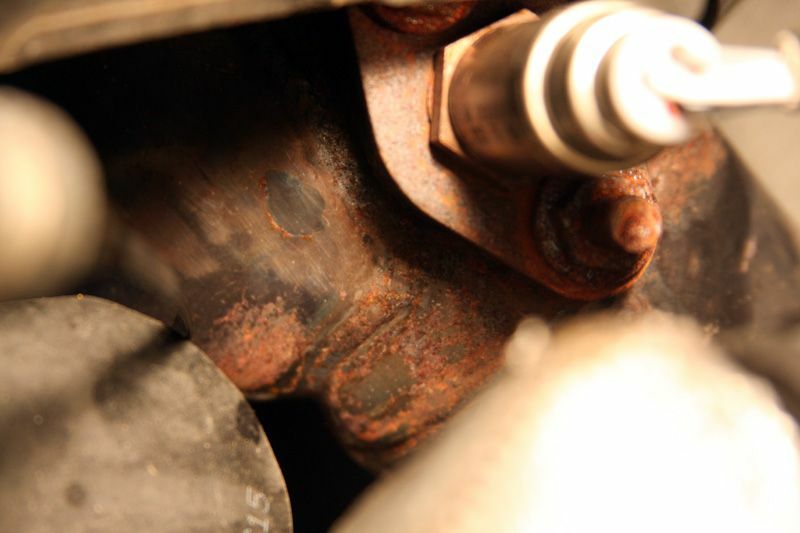 Here you can see the burn through and misalignment of the O2 sensor flange. Also notice some of the flow obstructions? This is a decent shot of the untrimmed pipe sticking up in the exhaust flow. You can also see the welding build up on the lower side of the turbine flange to make up for the misalignment. This could not be ground smooth all the way due to the chance of breaking through the other side. 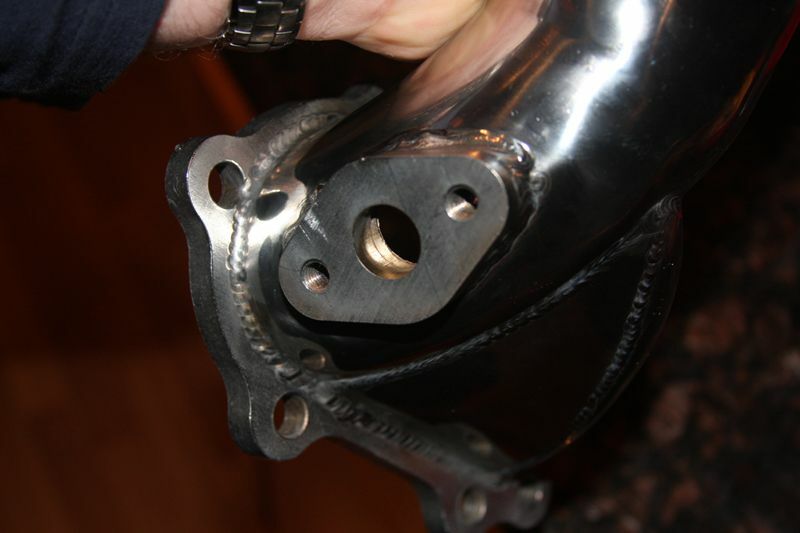 Here is the Mid-Pipe flange side with the weld sticking higher than the flange flat. It had to be made flat for a good seal. The inside of the flex section which is not smooth (fairly typical). All in all, the downpipe fits well, and after modifications to help correct imperfections, it performs like it should. The longevity of the part remains to be seen, but I foresee it corroding in a couple years like all Chinese made low quality exhaust products. Is it worth the $200? That's up to the enthusiast looking, but it wasn't for me. What it looked like after two years still installed"